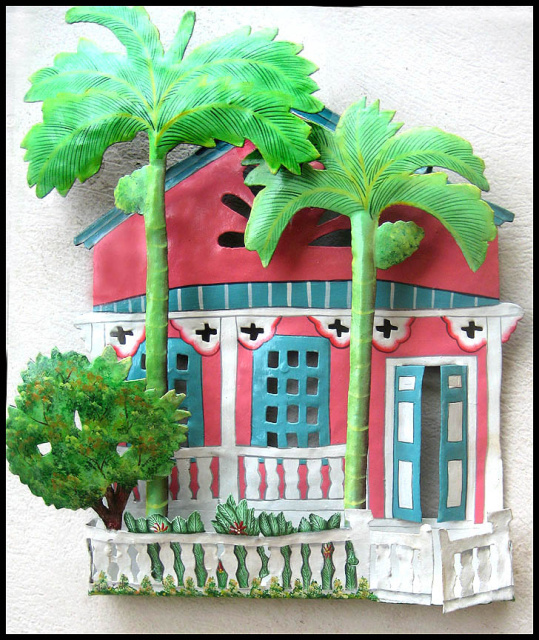 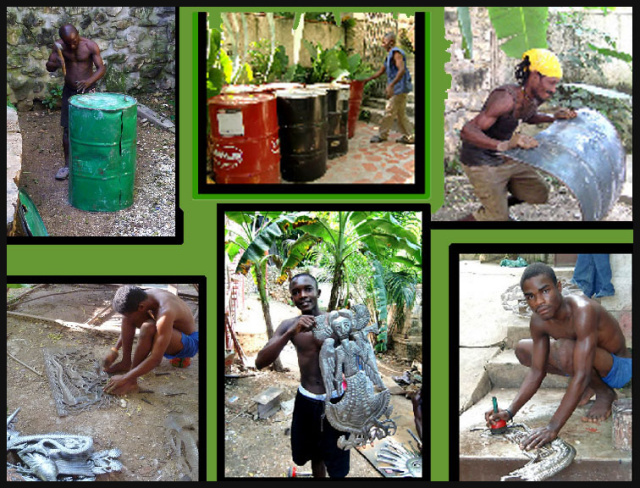 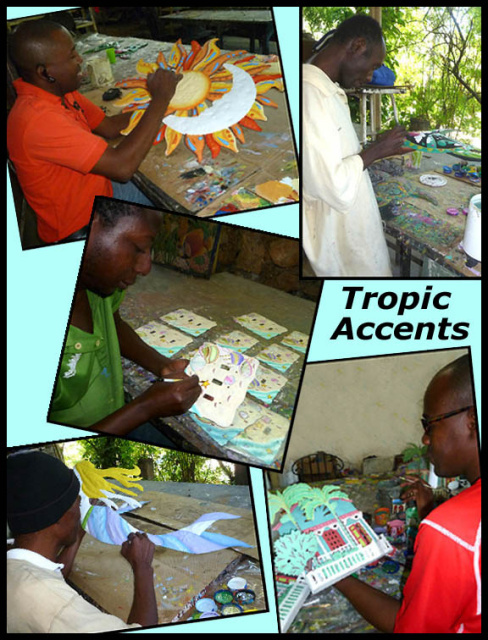 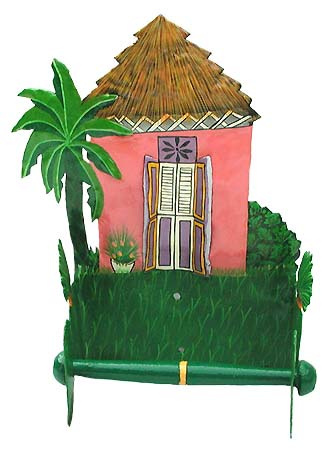 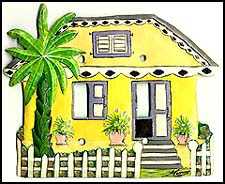 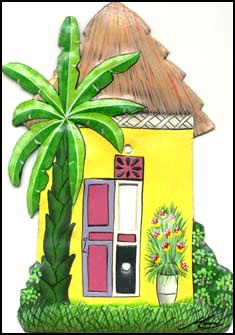 Tropical home décor, Outdoor metal art, Metal wall art, Haitian metal art. 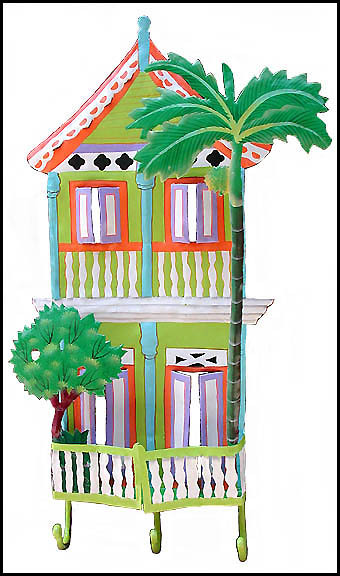 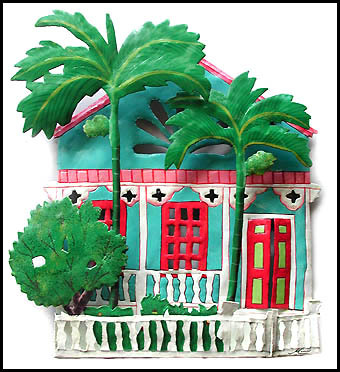 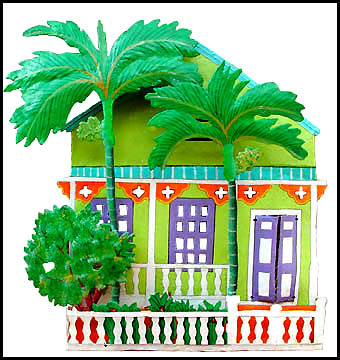 These colorful hand painted metal gingerbread houses are hand cut from recycled 50 gallon steel drums in Haiti and colorfully hand painted. 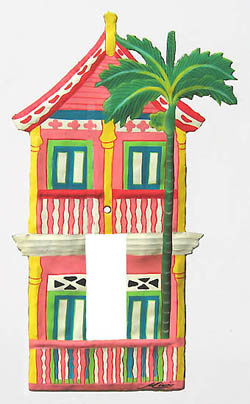 Each of the wall hangings has a hanger on the back. 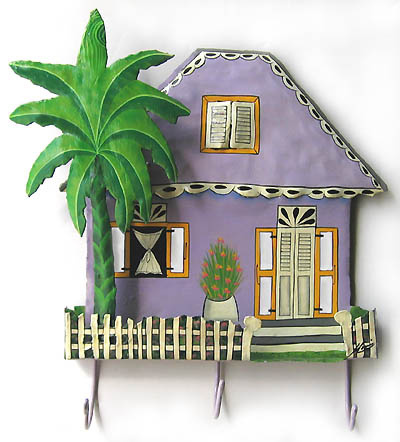 A joy to display in your home. 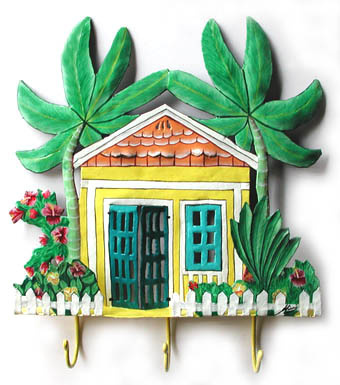 The wall hooks have very strong hooks for your towels, robe or coat. 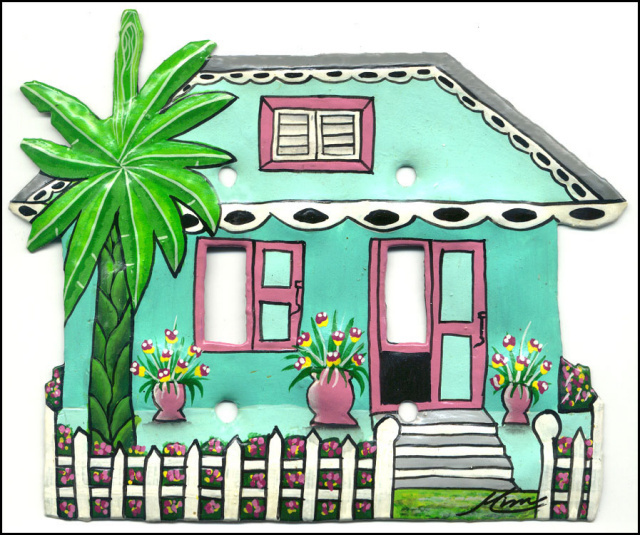 Be sure to see the darling painted metal light switch plate covers. 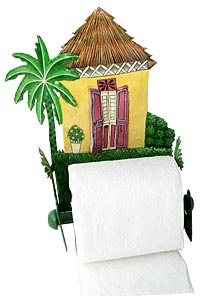 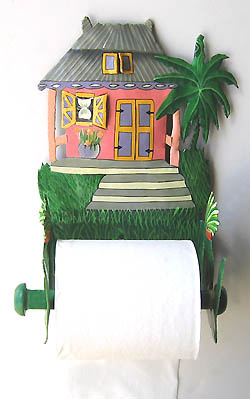 Darling designs for your bathroom - Painted metal toilet paper holders. 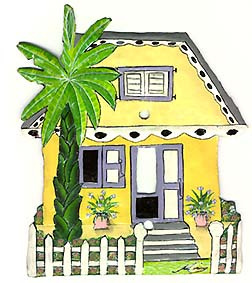 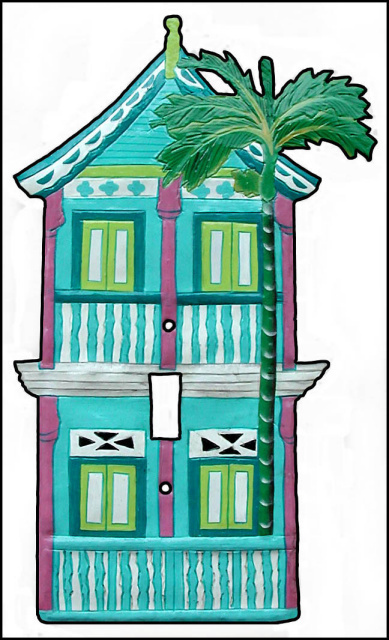 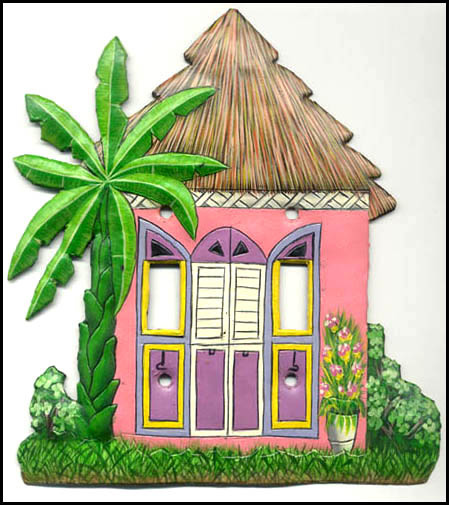 For more info, a larger picture or to place your order, please click on a tropical house design shown below. 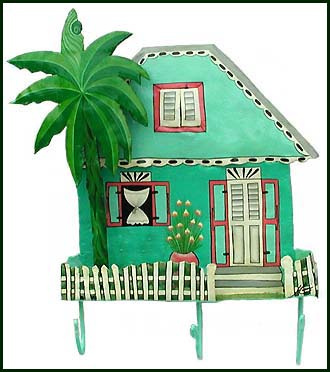 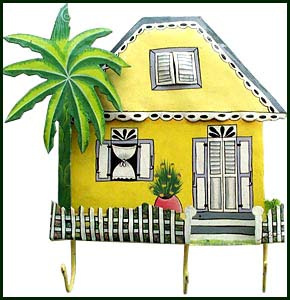 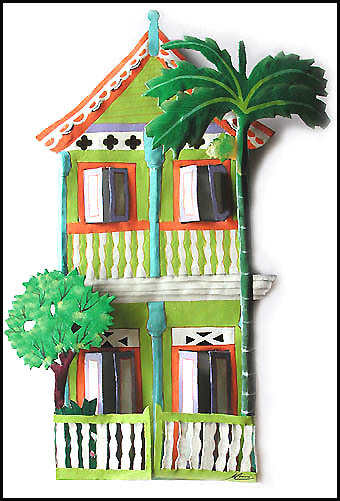 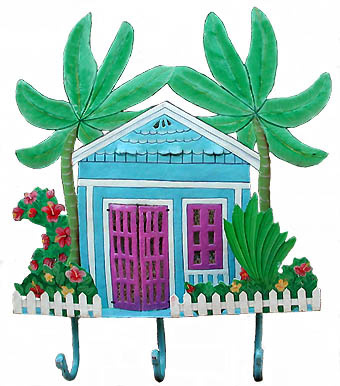 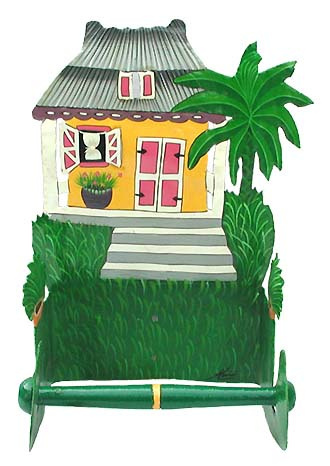 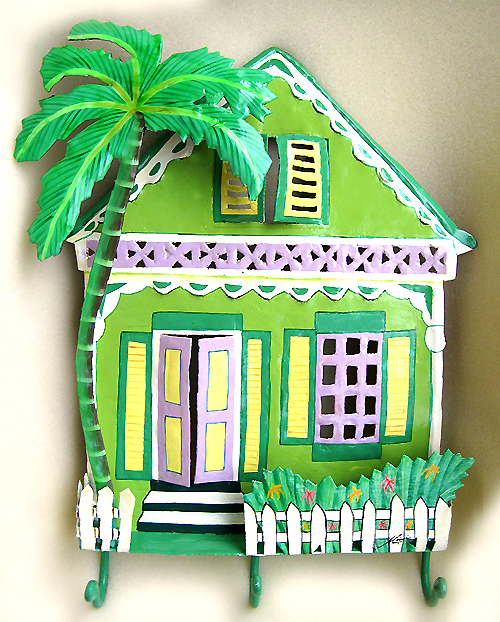 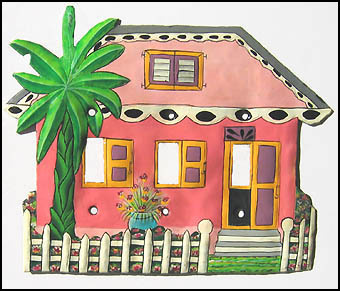 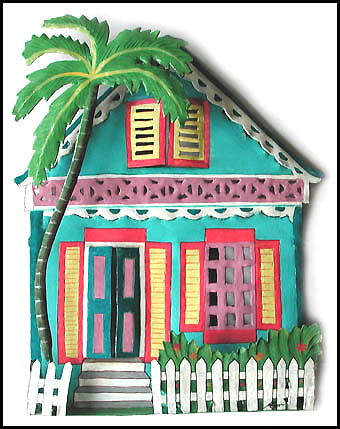 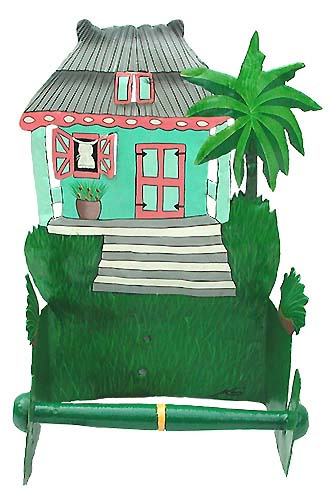 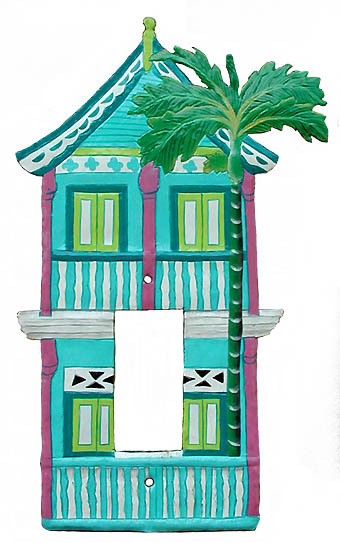 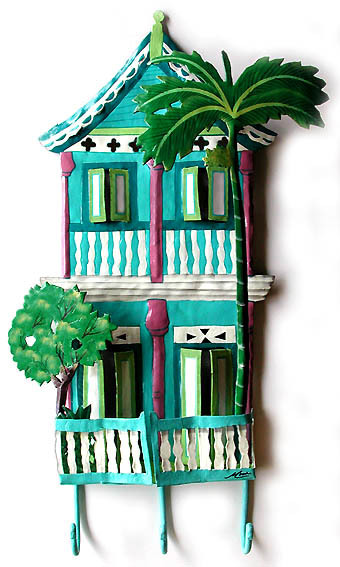 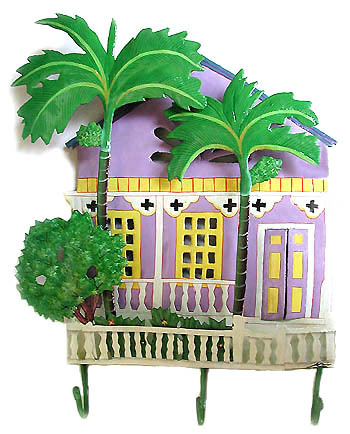 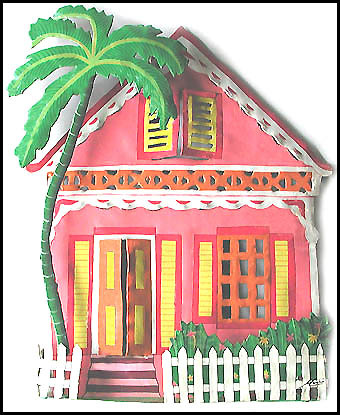 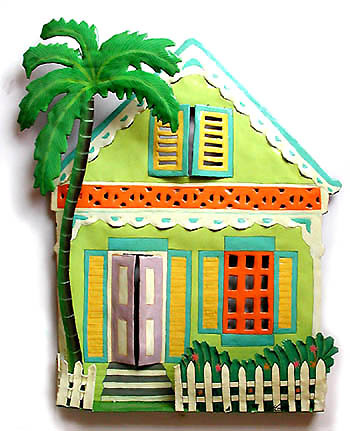 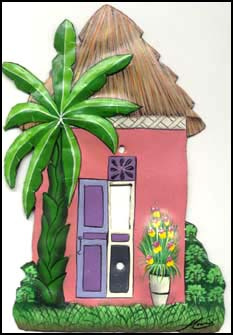 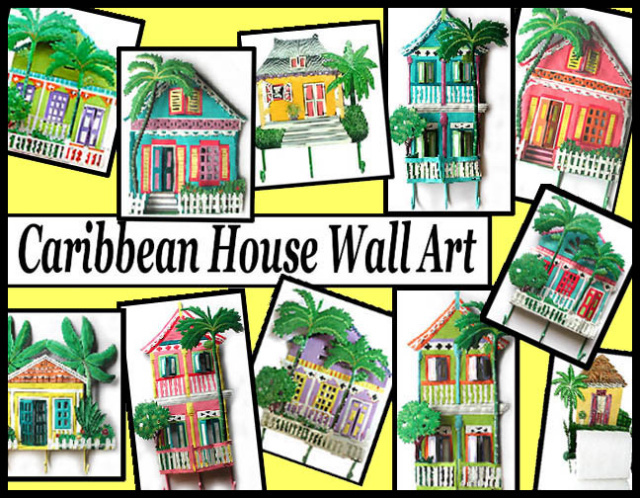 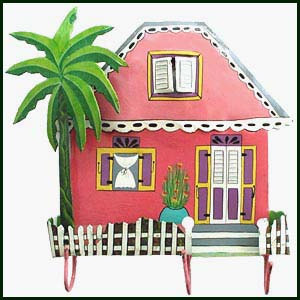 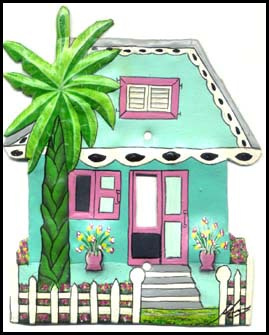 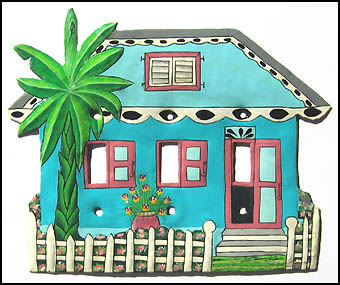 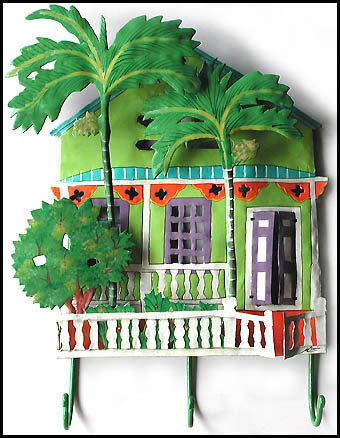 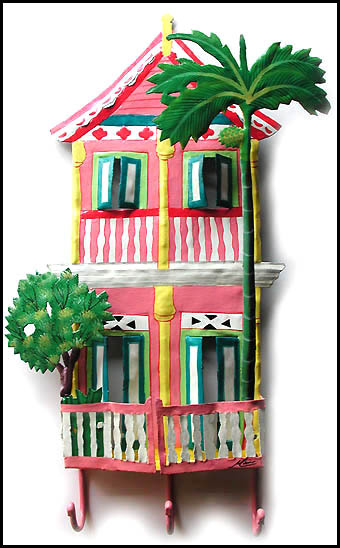 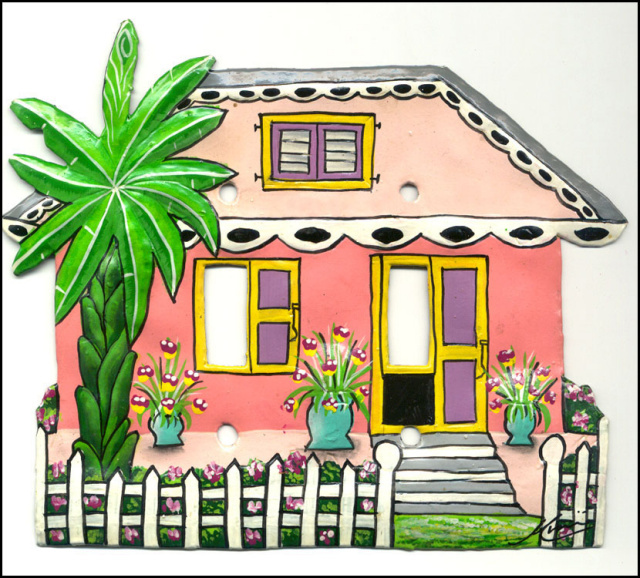 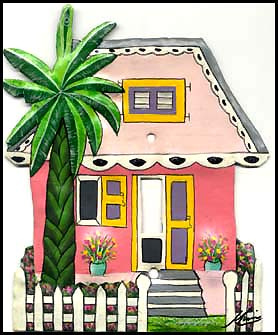 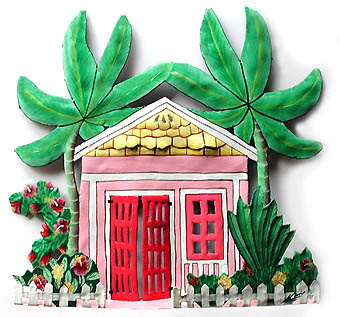 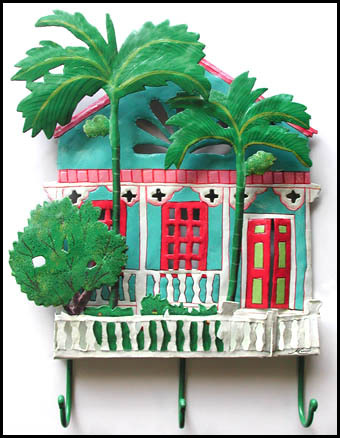 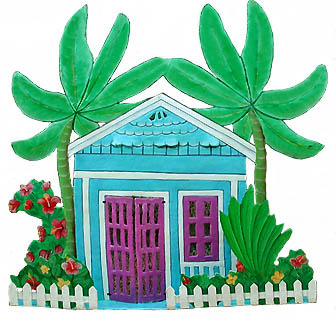 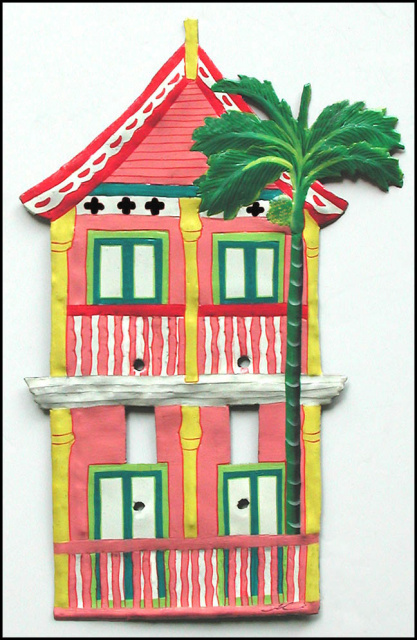 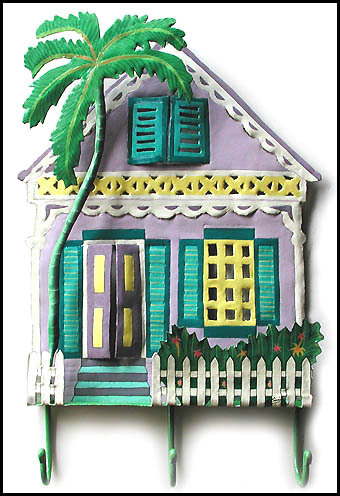 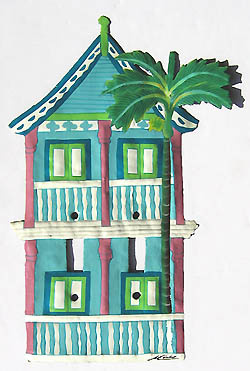 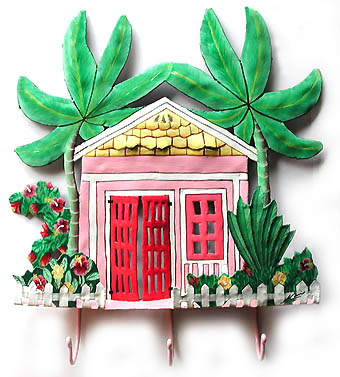 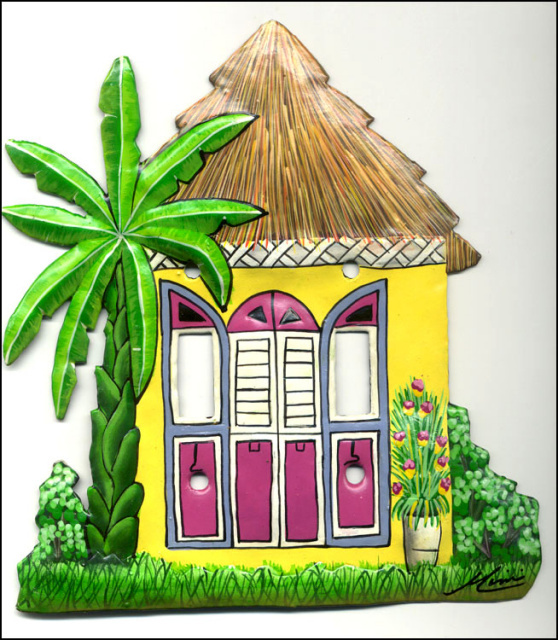 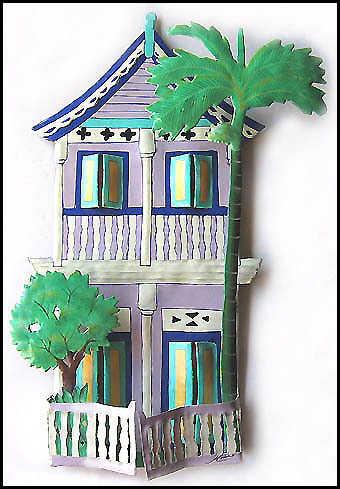 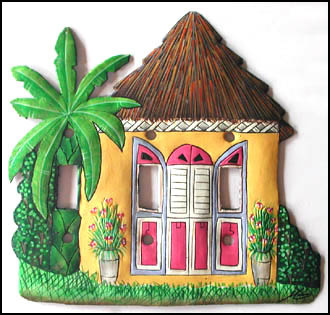 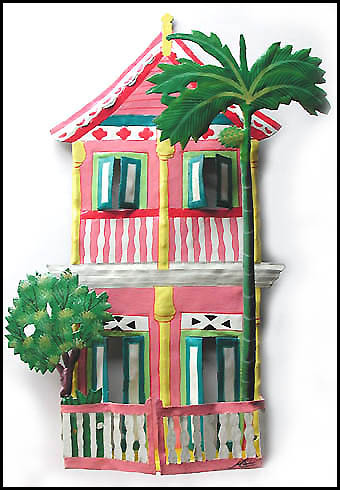 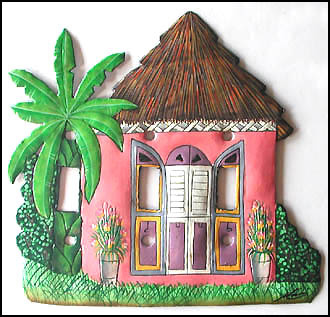 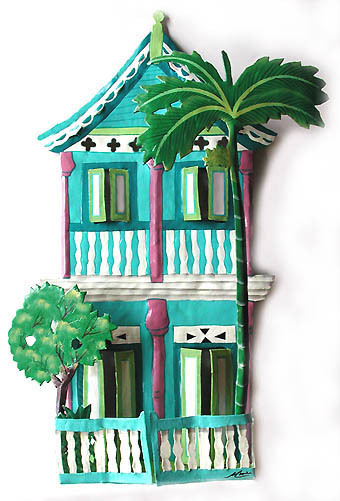 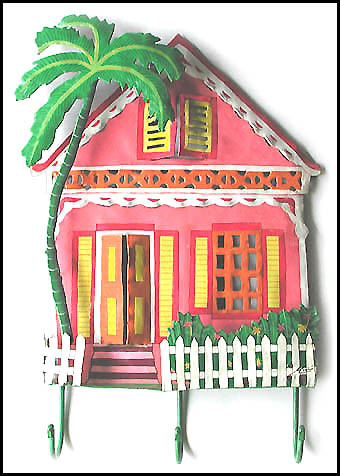 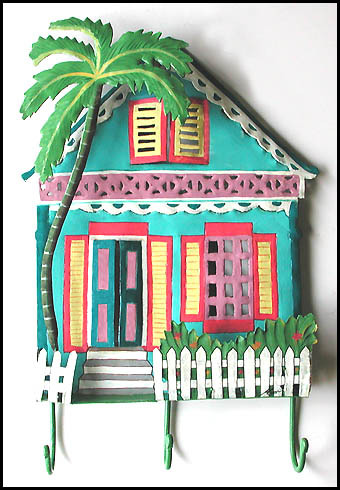 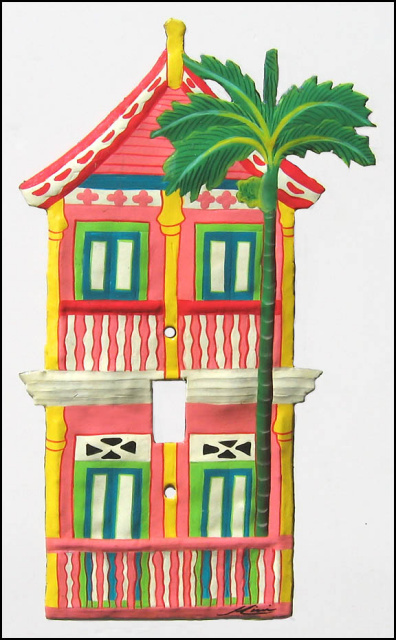 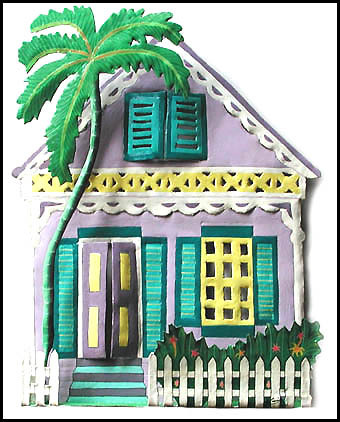 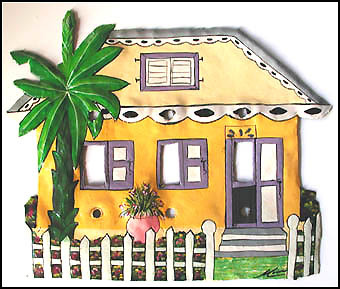 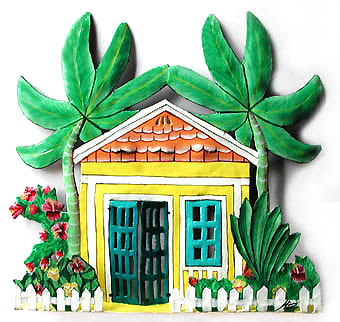 Caribbean House Wall Hanging - Tropical Metal Home Decor - 12" x 14"
Painted Metal Caribbean House Wall Decor - Tropical Metal Home Decor - 11" x 10"
Painted Metal Caribbean Gingerbread House Wall Hook - Tropical Wall Art - 13" x 17"
Caribbean Gingerbread House Metal Wall Hook - Painted Metal - Tropical Decor - 11" x 11"
Cilck to see our selection of hand painted metal toilet paper holders in the Caribbean house designs.